Back to: New For 2018! 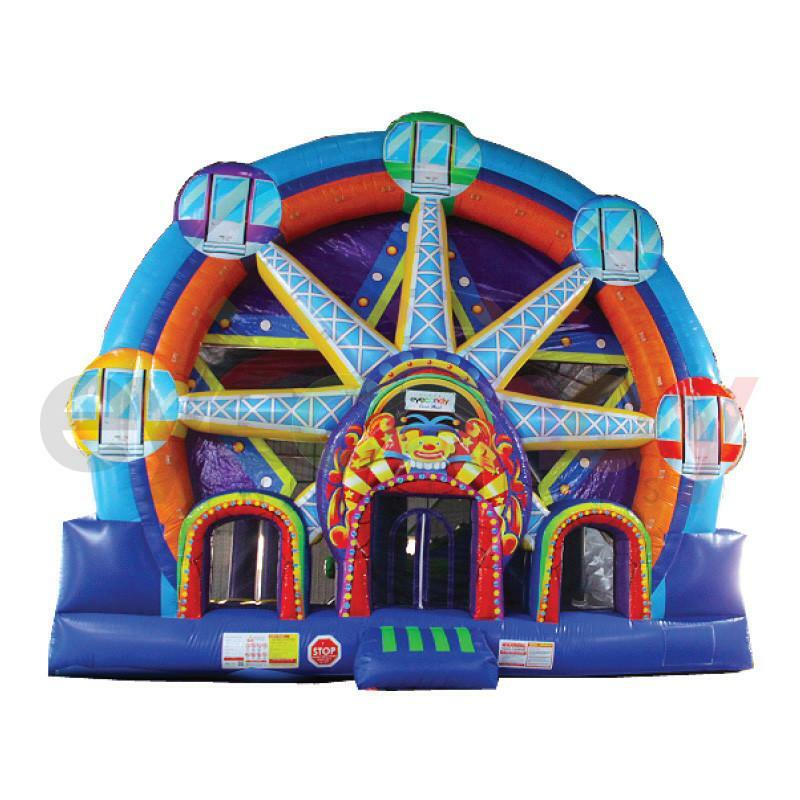 Rent a Ferris Wheel Combo Bounce Slide Climb Combo for rent for your next company picnic, festival, fair, school fair, fundraiser, birthday party, promotions, and day care events. Call Talk of the Town for events in the MD DC VA area 301-738-9500. Ferris Wheel Combo - Here's your chance to add a ferris wheel to your event, while having a popular moonbounce, too. The Ferris Wheel includes 5 activities along with a large bouncing area on the inside. There is a carnival game board on the outside of the unit, as well, as an added activity. A great addition to any carnival or county fair themed company picnic or school fair. This unit is also has the ability to add LED rope lights on the outside, for an added effect during evening events. Includes: inflatable, blower, and attendant. Space: 18'l x 19'w x 17.5'h space.